You know, there’s something really popular going on out there, and there are LOADS of opportunities to take advantage of it, from a marketing standpoint. But because it’s a little risqué… very few people are taking advantage of the leverage it can give them. No, I’m not talking about screaming “I’m a Democrat” in the middle of downtown Tampa. And I’m also not talking about dressing up like a vampire, in honor of True Blood and all the other vampire television and movie shows out there. What I’m talking about is leveraging a consumer product that’s sold over 40 million units in the last two years, in 37 different countries. That’s right, baby. 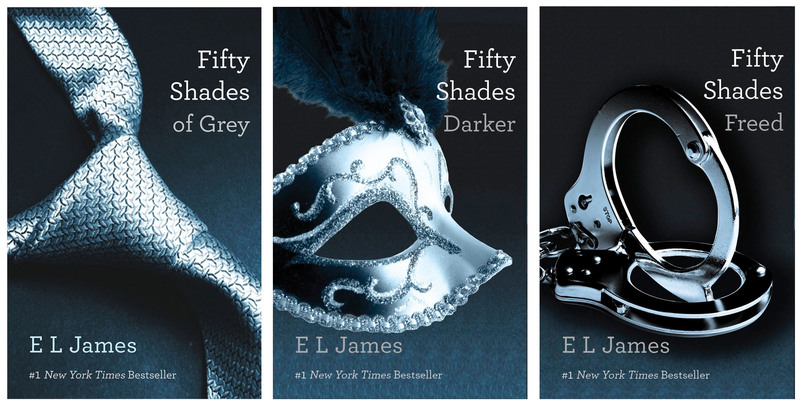 I’m talking about “Fifty Shades Of Gray,” the book that’s set in Seattle and written by E. L. James. You can’t throw a rock and manage to miss one conversation or another that’s going on, about this trilogy of trashy romance novels. Ask any group of women between the ages of 35 and 55, and you’re bound to find a few in that group, who’ve read at least one of these books, if not all 3 of them. Yet, as popular as it is… I can’t believe I haven’t seen more marketing around this theme. Sure, adult stores and can offer the Fifty Shades of Gray toy bundle — and for the high achievers, the 100 Shades of Gray package, as well. But what about fitness trainers? Don’t you think offering a “50 Shades” fitness or wt loss program would be appealing? And hotels, resorts, and vacation planners? And Chocolate candy and whip cream distributors? They can offer… well, you can use your imagination on these two. But it’s surprising to me, we aren’t seeing this leveraged more. I saw in the paper a few weeks ago, where a husband and wife who were psychologists or marriage counselors, were offering a “50 Shades” workshop that was sold out. And it’s odd that everyone so afraid of making offers like this. It’s 2012, yet… sometimes it feels like we’re still living in the 1960’s, doesn’t it? Monday’s a holiday here in the states, and I hope you have a relaxing 3-Day weekend. And if you have any comments on today’s post, you want to share, post them below.